Find your next career with St. john! Delivering healthcare the right way starts with listening to our nurses, who are the heart of the care we provide. We listened to feedback from our nurses. Here’s what we’re doing to make St. John Health System a great environment for nurses. Our open, highly collaborative work environment allows nurses to identify and share ideas across disciplines so we can all give better care. We encourage our nurses and doctors to work side-by-side as much as possible. These multidisciplinary care teams lead to better outcomes for you—and your patients. Plus, when you join St. John Health System, you become part of Ascension, the nation’s largest non-profit and largest faith-based health system, which is recognized nationally for its commitment to quality, safety and healing. 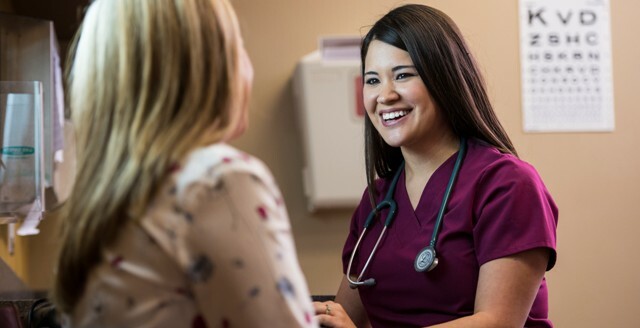 From self-scheduling to flexible shifts, we are always looking for ways to offer nurses more and better options. We’re implementing new flexible staffing ratios based on patient volume so nurses don’t become overwhelmed. You also may be eligible for a sign-on bonus (for selected categories of nursing). Beyond helping to identify areas of improvement daily, you also have access to a wide range of learning opportunities and support, including simulation training, partnerships with local universities and a tuition-reimbursement program. We hope you’ll join us! Click here to view open positions and complete an application. Interested in a nursing career with St. John, but didn't find the right fit in our list of open positions? Join our Talent Network and a recruiter will reach out to you.